Celebrate the most fashionable, fearless, and fun women in pop culture during SXSW. The “Make Some Noise” campaign for CUSP by Neiman Marcus is celebrating the most recent transformations in fashion and music landscapes today. 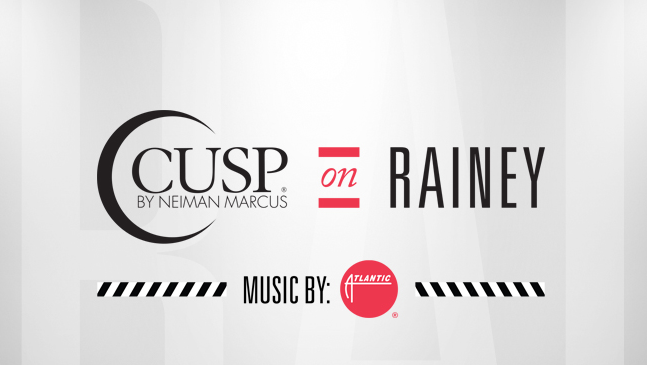 Here’s a chic event to add to your list during this week - "Make Some Noise" will kick off during SXSW with “Cusp on Rainey featuring Music by Atlantic Records. The fun happens on March 13th and 14th featuring panel discussions and fireside chats with influential women who rock in their respective fields. The panelists include Sanya Richards-Ross, Olympic track and field Gold Medalist, Cameron Russell, model and founder of Interrupt Mag, Marcie Allen, MAC Presents president, Lily Cole, actress and founder of impossible.com, and more. How cool is that? Of course, we’ll be dropping by for the amazing music, fashion panels, and of course some sips and snacks. Times are: Thursday March 13th and Friday March 14th 12:00 PM to 8:00 PM.